Before we begin I have some exciting news! My Beef Empinadas recipe was selected as a finalist in the Ro*Tel Across America contest! Voting is open and you can vote for your favorite recipe here! I am a big fan of quiche. If made properly it is the perfect balance of crust and eggy, cheesy filling. Growing up my mom would always make quiche for Christmas morning brunch, and as an adult I have made quiche for brunch many times. 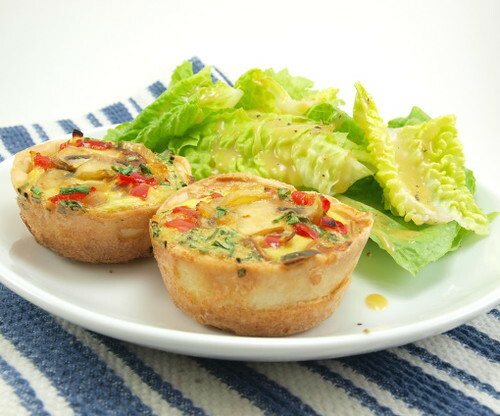 By far my most popular variation on quiche is the miniature version here. 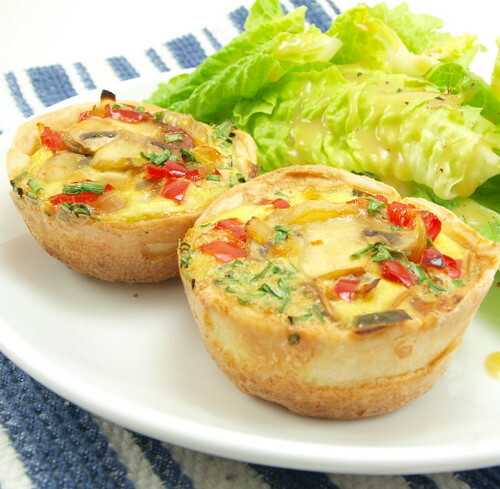 In my experience people love individual dishes, and at a brunch or breakfast pot-luck these mini-quiche are the first to go. This is my vegetable version, my favorite, but if you need to add meat an ounce or two of ham or a couple slices of crisp cooked bacon would be lovely here. That said, the vegetable version is hearty enough with the peppers and mushrooms that you will not miss the meat at all. You will also notice I make the pastry for this dish using buttermilk instead of water. There are two reasons for this change. First, buttermilk adds a pleasant tang to the crust, which I think work swell with the sweet vegetables. Second, it keeps the crust tender. This crust is mealy and often mealy crusts can get tough. Buttermilk helps keep the gluten in check, thus producing a more tender finished product. 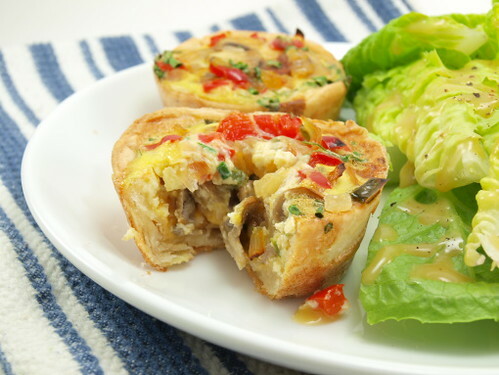 At your next brunch or party give these a try! In a medium bowl mix together the flour and salt. Add the butter and with your fingers rub the butter into the flour until the mixture resembles very coarse sand. Add the buttermilk and mix until the dough just comes together. Turn out onto a board and form into a disk. Wrap in plastic and chill for twenty minutes while you prepare the filling. In a skillet over medium heat melt the butter until it foams. 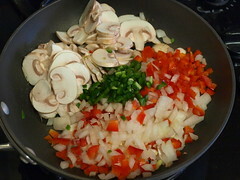 Add the mushrooms, garlic, jalapeno, onions and bell pepper. Saute, stirring often, until the vegetables are tender. Once tender allow the vegetables to cool slightly. In a separate bowl whisk the eggs with the chives. Season with salt and pepper. 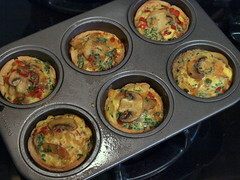 Heat the oven to 400 F and spray a six-cup muffin pan with non-stick spray. 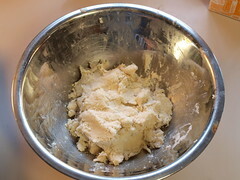 Once chilled roll out the pastry on a floured surface until it is 1/8″ thick. With a large biscuit cutter, at least 4″, cut six circles with the dough. 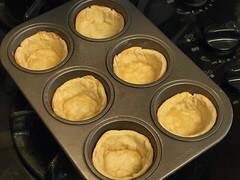 Press the dough into the prepared muffin tins. Line each crust with a small piece of foil and bake for 10 minutes. 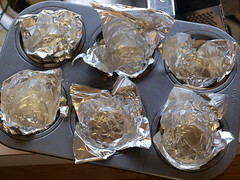 Remove the foil and bake for an additional ten minutes, or until the crust is lightly golden. 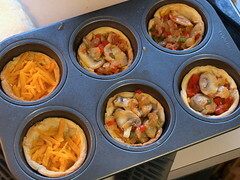 Lower the oven temperature to 350 F.
Divide the cheese among the six crusts, top with the vegetable mixture, then pour over the eggs until they just cover the vegetables. Return to the oven and bake until puffed all over, about 20 minutes. 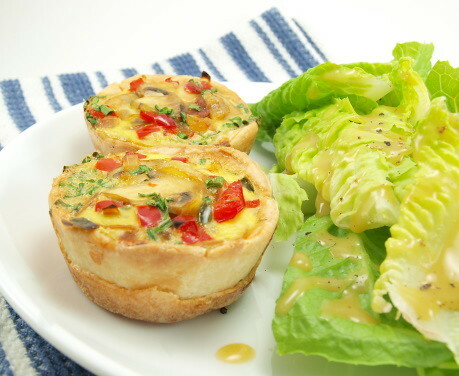 Allow the quiche to rest for five minutes before serving. © 2010 – 2014, Evil Shenanigans. All rights reserved.